Here’s a little casual Friday post for y’all. As a child, my favorite show was Batman: The Animated Series. Likely, if you were born in the 80s, this show was part of your youth. Surprisingly, can you believe it was only on for 3 years?! Only 85 episodes were ever made. But I loved it, and I watched it over and over again. It was dark and gritty (or as much as it could have been), had compelling stories, and (in hindsight) was full of complex characters. So complex, in fact, you could actually create an entire podcast psychologically analyzing them! I want to introduce you to my new little podcast binge-fest: The Arkham Sessions. In this series, comic fans Brian Ward and clinical psychologist Dr. Andrea Letamendi (who was also written in as Barbara Gordon’s psychologist in the Batgirl comics) go through each episode of Batman and talk about the psychological issues brought up. 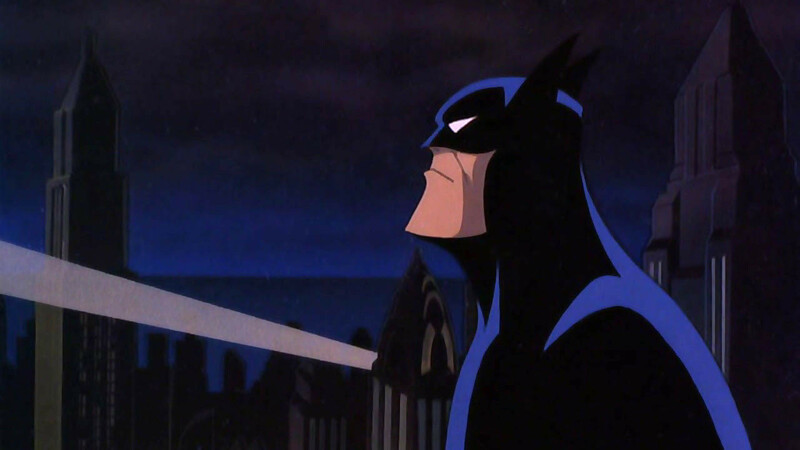 They talk about mental health issues that all the characters (including Batman) could be dealing with, possible treatments, and real-life parallels to the events and people in the episode. Having myself worked in mental health for the past 7 years or so, I can say this show is really good in de-stigmatizing and educating on mental health issues. They confront stereotypes, mischaracterizations, and unhelpful ways of talking, using the show as a way to talk real issues lay people may not be exposed to every day. I admit, it sounds a little unsustainable or odd it first (a legitimate psychologist analyzing cartoons? ), but just give it a try. It is really good. It definitely falls more on the “fun” rather than “compelling” side of the spectrum, but after heavy shows like Serial, we could all use some lower stakes listening, right? Also, better yet, there’s not one continuous story, so you can jump in at any point or be selective about which episodes you listen to and you won’t miss anything. Also, the nostalgia of spending more time with this show after all these years is really quite fun. Listen to a few episodes and let me know what you think! You can follow The Arkham Sessions on Twitter and Facebook. Subscribe on iTunes or other Podcast players. I want to download and listen to this but I have only seen a couple of episodes of the show – will it still make sense to me? It should! They summarize anything relevant.